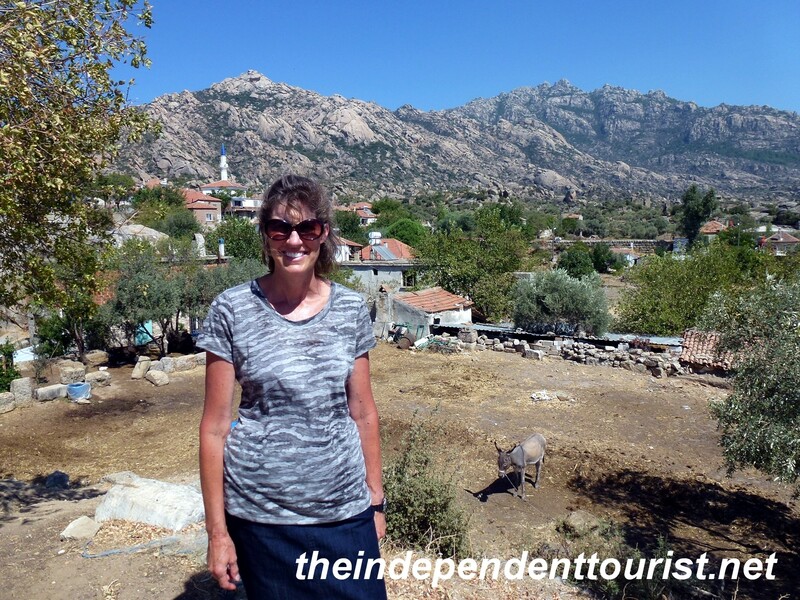 The village of Kapikiri where ruins intermingle with the village homes and farm animals. I just love coming across “undiscovered” historical spots. 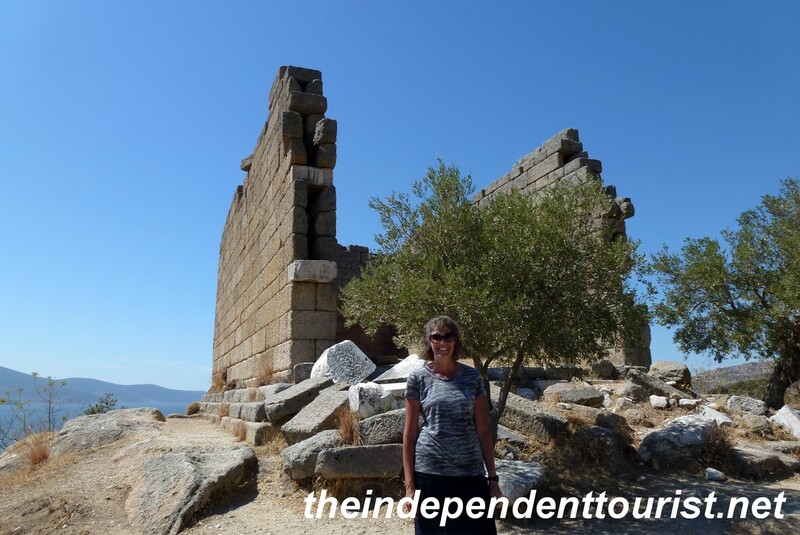 On our way from Bodrum to Kusadasi, Turkey we decided on a whim to visit the ruins of Herakleia on Lake Bafa, located in the village of Kapikiri. At the southern end of the lake, off the main road (the 525) there is a sign pointing to Herakleia, about 10 km from the turn off. Lake Bafa anciently was an arm of the Aegean Sea, but eventually was closed off and is now brackish water (50/50 salt water and fresh water). Temple of Athena, still standing after 2,000 years with finely cut stones and no mortar. Byzantine castle ruins on the shore of Lake Bafa. 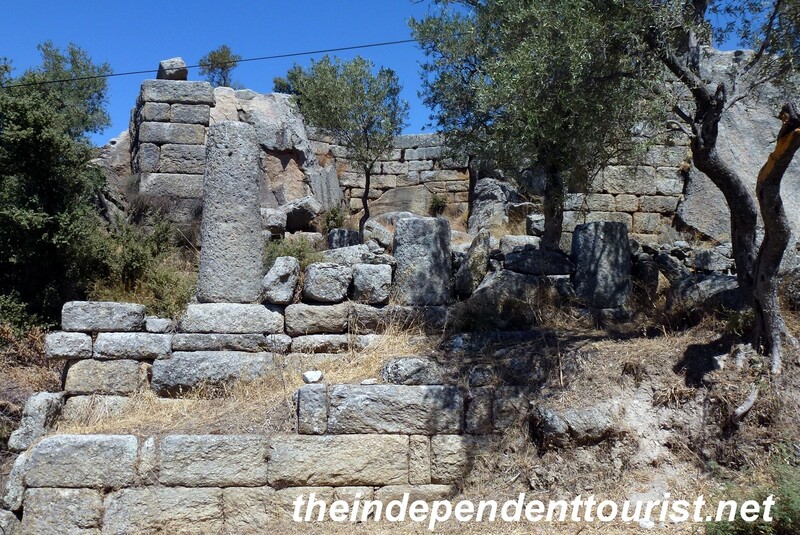 There are ancient (around 300 BC) and Byzantine-era (8th century AD) ruins to be found here. This location features prominently in Greek mythology as the home of Endymion – a comely shepherd boy who resisted temptation. The Byzantine monks considered Endymion a saint. Temple of Endymion, who resisted the moon goddess Selene. 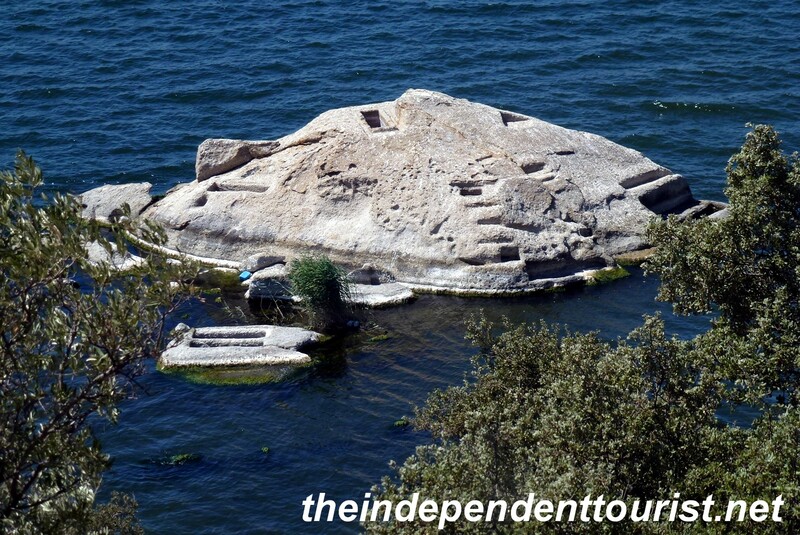 Byzantine monastery ruins on a rock island just offshore in Lake Bafa. Part of the ancient necropolis of Herakleia – tombs cut right into the rock. There were no other tourists at the time of our visit and not much in the way of signs— you have to just trust your instincts to find some of the ruins, although the local villagers were very friendly and willing to point things out. In return, we bought a few homemade trinkets. 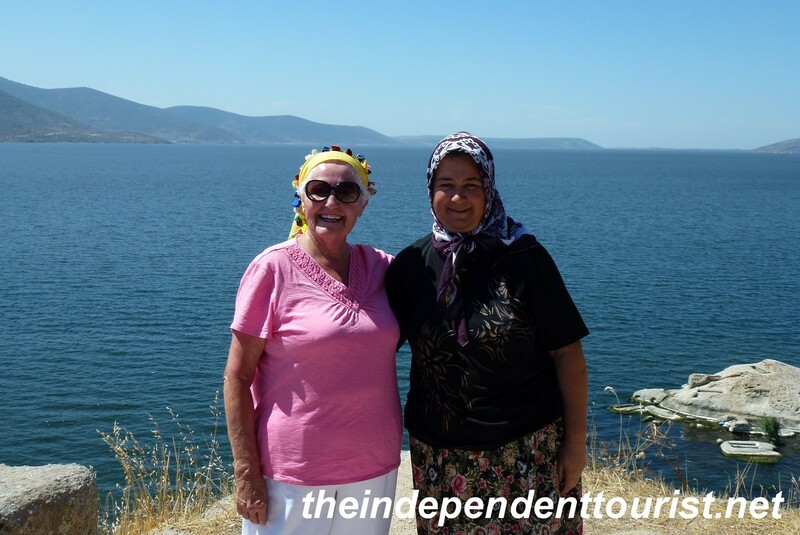 My mother-in-law modeling a head scarf with a local woman who spoke just a tiny bit of English and pointed out some of the sights for us. 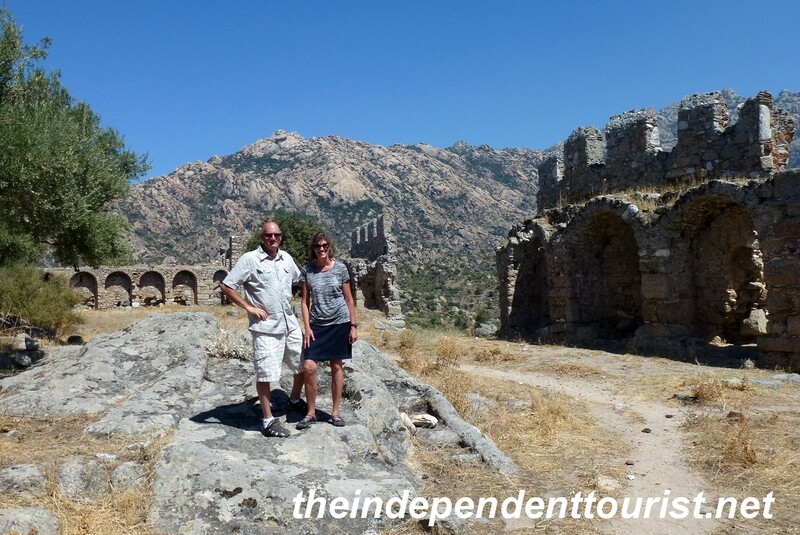 There is a lot more to see than we had time for – more monasteries in the hills and amphitheaters for example. 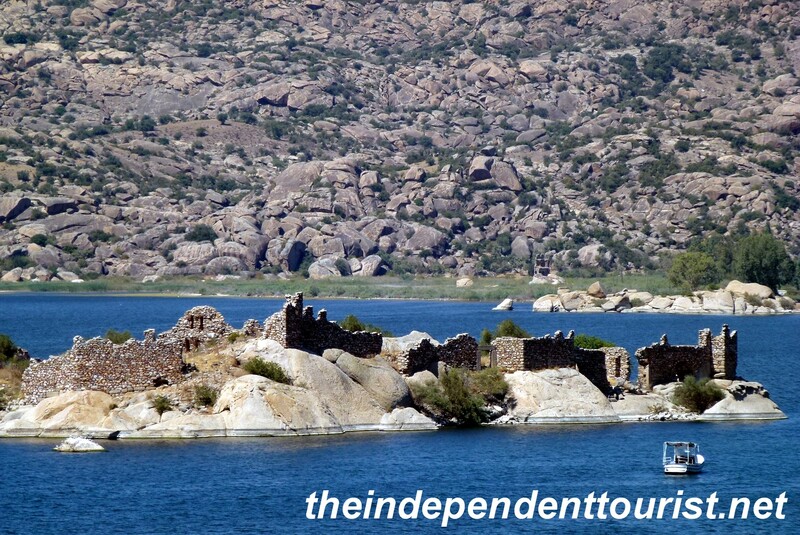 If you love getting out and seeing things almost no other tourists see, go to Herakleia and Lake Bafa. Posted in Turkey and tagged Herakleia Turkey, Lake Bafa Turkey, Sights in Turkey, Turkey Travel on July 1, 2013 by Paul Terry.